Coordinating outfits for the girls without being "matchy matchy" is always a fun task. These unique colors, textures and prints make these outfits full of mix and match potential. I love every single detail in these pieces of clothing. The printed huts skirt is so out-of-ordinary and so is the printed jacket. 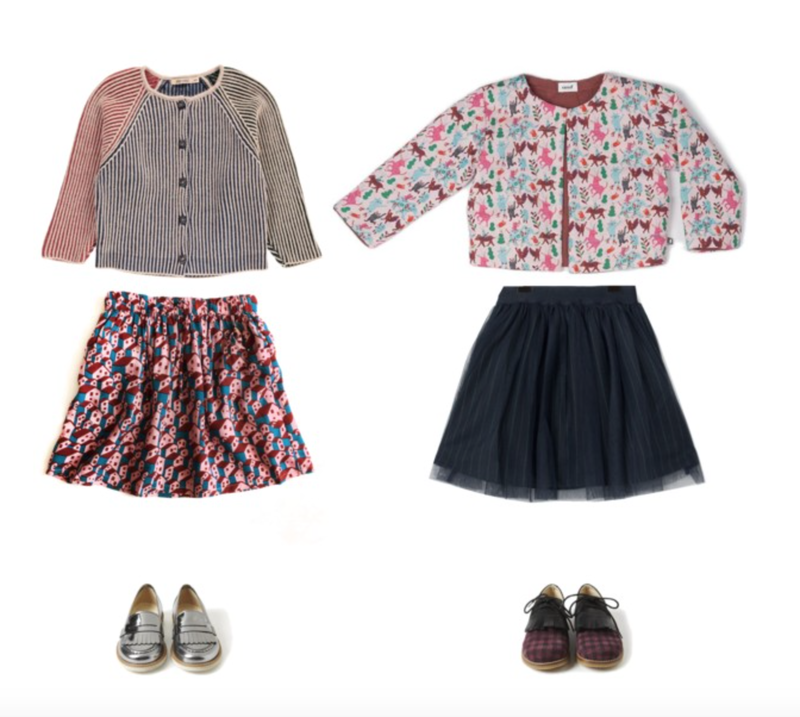 The tulle skirt has a pinstripe lining which makes it stand out and the knitted cardigan is just perfection! This is fall dressing at its best. Add a pair of neutral tights and this outfit can be worn all the way through to spring time! See where to get these unique finds in the links below.